The exact date isn't important but at some point about 2000 years ago Christ died on a cross. Since that point Christians everywhere have put their faith in Him. He claimed to be the Way, the Truth and the Life and that nobody could get to the Father except through faith in Him (John 14:6). That's great for everybody since then, but how were people saved before that? There are many more years of history before that date than after. Was there a different savior for them? Did they just believe in God but not in Jesus? In very broad strokes, what does Christianity say on this matter (general doctrine) and more specifically, are there differing views on this held by major branches of Christianity? If so, what is a summary of the different doctrinal positions? Before Christ, people were saved by believing in God's promise of the Messiah who was to come, as we are saved by believing in the Messiah who has come. And all these [Old Testament saints], though commended through their faith, did not receive what was promised, since God had provided something better for us, that apart from us they should not be made perfect. But grace was given to each one of us according to the measure of Christ’s gift. Therefore it says, "When he ascended on high he led a host of captives, and he gave gifts to men." The answer from aceinthehole is on the right track, but here is the key. It is impossible for the blood of bulls and goats to take away sins. @Caleb, you are definitely onto something, because this verse clearly tells us that nobody in the old testament was actually saved through the law. Nobody can deny that the law given in the old testament is based off of something other then God's nature. The law was only a shadow of Christ Himself, in which, all of the fullness of God dwelled. God presented Christ as a sacrifice of atonement, through the shedding of his blood—to be received by faith. He did this to demonstrate his righteousness, because in his forbearance he had left the sins committed beforehand unpunished—he did it to demonstrate his righteousness at the present time, so as to be just and the one who justifies those who have faith in Jesus. You see, the saints of the old testament were also saved through Faith in Christ and Love for God. The command to love was given to us from the old testament and is given to us again in the new testament. Remember Genesis, Hebrews, Romans and James where it talks about Abraham's great Faith in God? The law was not given to Abraham! Abraham was saved through Faith in God. And love for God, that Abraham would obey when he was commanded to sacrifice Isaac. Abraham was saved through Faith and Love, just as we are today. The New Testament frequently states that Jesus rose from the dead. This presumes that, yes, Jesus was fully dead at some point. Before Jesus, of course there wasn't a heaven, just a place of the dead referred to "Hades" or "hell" (as you acknowledge). As Jesus had died, he went there. Jesus preached the Gospel to the dead (1 Peter 4:6) and those that were saved rose and joined Jesus in heaven (Matthew 27:52). Note that this is not necessarily the same as "hell" as we know it. The people here weren't damned. It was simply the place of the dead. "Abraham's Bosom", as it was called. It was distinctly a temporary place where the dead lay in waiting, and as such, is not eternal, as opposed to the eternal damnation of "hell" as we typically refer to today as Christians. Here's a link that discusses this topic specifically with more references and depth: Catechism of the Catholic Church. 52 and the graves were opened; and many bodies of the saints who had fallen asleep were raised; 53 and coming out of the graves after His resurrection, they went into the holy city and appeared to many. Here we have "saints" rising up, who had already died. Presumably these are righteous Jewish people, who believed in God, and also believed that he would provide salvation to them though they had not yet seen Jesus. Some have speculated that this refers to people who came before Jesus. Since the fall of man, not that God revised and re-revised His plan of salvation over the ages for the fallen mankind. No. Salvation has always been the same—it is by God’s grace through faith which He planned right from the beginning to be achieved through the death of Christ. No one, either prior to the cross or since the cross, would ever be saved without that one pivotal event in the history of the world. Christ's death paid the penalty for past sins of Old Testament saints and future sins of New Testament saints. The major difference is that before Christ’s earthly life, salvation was found in faith in the Lord. Adam and Eve, for example, had faith in God and fellowship with Him. Abraham trusted the Lord by faith. Genesis 15:6 tells us that Abraham believed God and that was enough for God to credit it to him for righteousness. Hebrews 11 provides an entire chapter of people who followed the Lord by faith, not knowing the details of the Christ who would come. The Old Testament sacrificial system did not take away sin, as Hebrews 10:1-10 clearly teaches. It did, however, point to the day when the Son of God would shed His blood for the sinful human race. Jesus was the fulfilment of the Old Testament sacrificial system, the one Savior who permanently restores relationship with God. God's requirement of what must be believed is based on the amount of revelation He has given mankind up to that time. Adam believed the promise God gave in Genesis 3:15 that the Seed of the woman would conquer Satan. Adam believed Him, and demonstrated it by the name he gave Eve Genesis 3:20 and the Lord indicated His acceptance immediately by covering them with coats of skin Genesis 3:21. At that point that is all Adam knew, but he believed it. Abraham believed God according to the promises and new revelation God gave him in Genesis 12 and 15. Prior to Moses, no Scripture was written, but mankind was responsible for what God had revealed. Throughout the Old Testament, believers came to salvation because they believed that God would someday take care of their sin problem. Late in His ministry, “Jesus began to explain to his disciples that he must go to Jerusalem and suffer many things at the hands of the elders, chief priests and teachers of the law, and that he must be killed and on the third day be raised to life” (Matthew 16:21-22). At this Peter took him aside and began to rebuke him. ‘Never, Lord!’ he said. ‘This shall never happen to you!’” Peter and the other disciples did not know the full truth, yet they were saved because they believed that God would take care of their sin problem. They didn't exactly know how He would accomplish that, any more than Adam, Abraham, Moses, or David knew how, but they believed God. Today, we look back, believing that He has already taken care of our sins on the cross (John 3:16; Hebrews 9:28). Prior to Jesus, salvation was based on faith in God and trust in His plan. Ultimately, it was still based on the death and resurrection of Christ, though God’s followers did not know exactly how that would look. Today, knowing that Jesus died for our sins, was buried, and rose the third day (1 Corinthians 15:3-4), the content of our faith is a bit more specific. However, faith is still the requirement for salvation, the object of our faith is still God, and the completer of our salvation is still Jesus. In 33CE Genesis 3:15 fulfilled (Galatians. 3:13, 16). But from the moment that God uttered that prophecy the ransom price was as good as paid from his viewpoint, for nothing can prevent God from fulfilling what he purposes. With that basis God could forgive the sins of people befor Jesus' death. Being "saved" is a Christian concept related to the forgiveness of sins. Prior to Christ, Salvation was being saved from Earthly (temporal) grief. So, the question, from a pre-Christ perspective, is more appropriately worded as "Who forgave sins before ~33AD?" Like today, sin was forgiven through sacrifice and repentance. The people were not made perfect, but they were forgiven of their sin. ...because on this day atonement will be made for you, to cleanse you. Then, before the LORD, you will be clean from all your sins. Who forgave sins? God did, of course. However, it was the sacrifices made by the priest and provided by the sinner(s) that allows for the forgiveness. Leviticus 4 outlines the offerings that must be made for the atonement of an individual's sin. To obey is better than sacrifice, and to heed is better than the fat of rams. Stop bringing meaningless offerings! Your incense is detestable to me. New Moons, Sabbaths and convocations— I cannot bear your worthless assemblies. If there was no repentance, then the offerings were in vain. If the person/people continued to sin and simply threw an offering at it, claiming it would be forgiven, the offering was considered detestable and not accepted. God set forth a very clear plan and path to allow for the forgiveness of sins. These sins could be forgiven on a personal level or on a national level. There is no ounce of mercy that Christ has not purchased with his death on the cross. If this were not the case, then why did Christ have to die? This is an issue of God’s justice: if mercy is the suspension of justice, how can God give mercy and yet be just? The answer is that Christ justly purchased mercy on the cross. But if there is some mercy apart from Christ, then God’s justice is impugned (for giving unwarranted mercy) and Christ’s sacrifice is for nothing. Mercy – mercy is the suspension of justice. This means that every moment we are not punished by God for sin is an instance of mercy, and made possible by mercy. In other words, we would not be able to walk around or take a breath on earth, if Christ had not purchased mercy. (Even common grace was purchased by Christ.) This obviously includes the Old Testament period: the mercy that was credited to Old Testaments was mercy purchased by Christ. Why did Old Testament laws work? Christ’s death was not effective because of the sacrificial system; the sacrificial system was effective because of Christ’s death. It was Christ’s death that made the first clothes a cover for sin; it was Christ’s death that made Able’s sacrifice acceptable. Christ’s death was not effective because of the Passover lamb; the Passover lamb was effective because of Christ’s sacrifice, etc. The Old Testament did not work forwards to the New Testament; Christ’s sacrifice worked backwards through the Old. Was this faith in Christ? You might think it is impossible to have faith in a Christ that had not arrived but this is not altogether clear... It may be that the Old Testaments saints had faith in Christ – perhaps in some indirect way. Abraham had faith in the promise and it was credited to him as righteousness. What promise? The promise that his children would be as numerous as the stars. This promise was fulfilled through Christ reconciling sinners to himself. Indirectly, Abraham had faith in Christ. Other examples might be mentioned, but you get the idea. Who saved people before 33AD? I believe Jesus Christ is the creator. 2 And he lift up his eyes and looked, and lo, three men stood by him: and when he saw them, he ran to meet them from the tent door, and bowed himself toward the ground. 24 Then Nebuchadnezzar the king was astonished, and rose up in haste and spake and said unto his counsellors, Did not we cast three men bound into the midst of the fire? They answered and said unto the king, True O king. He answered and said, Lo I see four men loose, walking in the midst of the fire, and they have no hurt; and the form of the fourth is like the Son of God. I believe that Jesus Christ ministered to people in the old testament. All the saints in Hebrews 11, except Enoch are dead and in their graves. Enoch was translated to heaven. I believe that all the saints that have died since time begin will be resurrected at the second coming of Jesus Christ. In Hebrews 11, verse 4, Abel begins the list of those who have died in Christ. I would guess that ninety-nine per cent of all Christendom rejects this view. The truth of the bible is seldom embraced by the multitudes. Before the Cross, people were saved by obeying the law. Salvation meant being protected. Paul said those who obeyed the law died, but he didn't say they went to damnation. Gal 3:21 For if a law had been given that could impart life, then righteousness would certainly have come by the law. 22But the Scripture declares that the whole world is a prisoner of sin, so that what was promised, being given through faith in Jesus Christ, might be given to those who believe. 1) Did Paul say that those who believed in God prior to Christ go to hell? No. 2) Was there life for those believers prior to Christ's arrival? No (vv. 21-22). 3) What was it like before "this faith came" (v.23)? They were prisoners. 4) Why did God do this? That the law might lead those loyal believers to Christ, and at that time they would receive the "promised" life. They would be a new creation; they would have LIFE. Gal 3:14 He redeemed us in order that the blessing given to Abraham might come to the Gentiles through Christ Jesus, so that by faith ---->we might receive the promise of the Spirit. This is the view in Eastern Catholic denominations. It can be summarised by stating that God saves those who live righteous lives which is manifested in one way by proclaiming His role in making it possible to live that righteous life. God's salvation power is vested in the Church, through baptism of its members, admitted on agreement with God's laws. The Roman Catholic denominations believe that God saves those who obey His righteous requirements through the administration of baptism. It is baptism that enables agreement with God's laws, since in man there is no evidence of any good. The Arminian view in Western Evangelical denominations follow the Eastern church closely, except that it teaches that men are unable to obey God because of the effects of the Fall. God's grace touches all men, but men must chose to believe what God requires and that He will provide the grace to obey those requirements. The Calvinist view in the Evangelical West differs in claiming that God's grace touches only some. Those chosen will be given grace to believe and so will be saved, since it is belief that saves. God completes what He starts, giving grace to do good works. Monergism, God enabling belief, with no contribution from man, is what separates the two major Evangelical denominations. Who saved people before ~33AD? Salvation is a function of faith. It is our new life in Christ which obliterates our sin. There did seem to be a way to accrue righteousness through faith. We know that some of those in Israel will receive eternal life. It may be that in contrast to us who have eternal life as the result of faith now, the Old Testament saints receive their eternal life at their resurrection. It may be that the reception of eternal life is the judicial act that blots out our sins. Christians receive it when they trust in Jesus and Old Testament saints receive it when they are resurrected. Either way it would still be Jesus. There is a possibility regarding those who did not have the promises as Israel did. There is a general revelation of Jesus (the creator) in creation. The Bible says specifically that this revelation is sufficient to condemn those who reject it. However, we have no positive word if this revelation is sufficient to save any. It remains only a possibility. How were people saved before Christ came? After the Fall, God communicated to Adam and Eve promises of a deliverer, such as the promise of Genesis 3:15, "And I will put enmity between you [the serpent] and the woman, and between your seed and her Seed; He shall bruise your head, and you shall bruise His heel.". When they believed in this, they believed in the God who spoke it. They were "saved" because of their faith in the promise (believing in Him who spoke it), but still had to suffer the consequences of the Fall. Later, still before the OT was written, God spoke to the people through prophets. Remember that there was no Hebrew race at the time, so this was not exclusively for Jews. He spoke through Enoch, the seventh from Adam (Jude 14-15) about the coming judgment. How many other people did God use to draw people to Himself? We don't know. We do know from examples throughout the OT and NT that God consistently used people to communicate His truths to men and women. He communicated to Abram (Abraham), and Abraham believed God and God justified him by faith (Genesis 15:5-6), then he later ratified his faith by works of faith and obedience (James 2:21-24). Again, this was before there were Israelites. Curiously, what God said to him in Gen. 15, and what Abraham believed, was not a clear gospel story; God justified him for his trusting in God. In addition, God sent an angel to a Roman citizen, Cornelius (Acts 10:1-7), telling him, "Your prayers and your alms have come up for a memorial before God." He drew him to someone who had the salvation message: the apostle Peter. God warned King Abimelech in a dream about taking Sarah, Abram's wife. The king knew God's voice and responded appropriately (Genesis 20:1-11). There seemed to be a greater consciousness of God in those old days than we possess now in our secularized societies. I'm not saying that Abimelech was "saved," but he did believe God's words. I've read a bulletin by missionaries who have heard of Muslims having a dream in which they see a man with wounds in his hands and feet telling them to go to the Christians and ask them about him. So God is still speaking to men today, using men and women to reach out to them. So how were people saved before the OT was written? By God communicating Himself personally and people believing Him. When they believe His words, they are believing the one who spoke them, just like when Abraham believed God's promise. However, theirs in pre-Christ times was not the salvation of the Christian faith, for they were not made children of God (unsure of this), nor did God dwell in them. Not until Jesus died on the cross and rose again could they receive the full salvation of their faith. Their sins were only covered, waiting for Christ to come. We get that doctrine from Romans 3:25-26, which tells us that God overlooked the sins of the past to demonstrate at the present time His righteousness by saving people through faith in Jesus. Many Christians believe that when Jesus died, He went into the region where the earlier believers were and communicated the gospel story to them to encourage them so they would have a fuller comprehension of the one they believed in. (This doctrine has its roots in Ephesians 4:9 and 1 Peter 3:19). In addition, Romans 2:11-14 tells us that all of us have some form of the law in us so that we instinctively know when we are doing wrong against God, such as having a bad conscience, or making excuses for our bad behavior. All of this will be brought to light at the judgment, and none will be able to defend themselves. Romans 1:18-21 also tells us about God being manifested through His creation. Of course, this reasoning is hotly rejected in our secular society, but perfectly understood by religious societies, but not in exactly the same way. According to traditional Catholic doctrine, no one. Righteous Old Testament people went to the Limbo of the Fathers. Then Jesus descended to that part of Hell, then he raised them from the dead, they were baptized, and then they went to Heaven. In this time period the only concept of being saved is from physical harm, or slavery in the land of Egypt. During and after the time of sacrifices there was no issue with being forgiven by God. A number of times it's mentioned that simply turning away from sins in itself brings forgiveness from god. (Jeremiah 36:3, Isaiah 55:7, Job 22:23-27.
Who was the Jewish savior? Jews were introduced to the God of Israel (The Father). Who was Jesus to them? Judaism holds a very different view on Messiah then Christianity. In Christianity you accept the Messiah based on faith. In Judaism the Messiah would be accepted based on completion of all prophecies, and upholding the Torah without changing a single iota of gods word. Since in the Jews eyes this was not done, Jesus doesn't hold any significance to Jews. Who saved people before ~33AD? In most cases people were required to save themselves by applying the law. For example if someone was ignorant to you and poked out your eye, you where to reply with the same reaction, therefore saving you from future confrontation. The exact date isn't important but at some point about 2000 years ago Christ died on a cross. Since that point Christians everywhere have put their faith in Him. I feel that many have put the wrong kind of faith in him, and/or expressed it poorly, including myself. He claimed to be the Way, the Truth and the Life and that nobody could get to the Father except through faith in Him (John 14:6). Yes, Yes he did. There are many more years of history before that date than after. Was there a different savior for them? No the Same God has been here to save us. Did they just believe in God but not in Jesus? This is that same thing. So no. In very broad strokes, what does Christianity say on this matter (general doctrine) and more specifically, are there differing views on this held by major branches of Christianity? If so, what is a summary of the different doctrinal positions? Catholics put their faith in the Eucharist and the prayers of Mary, baptists put their faith that Jesus died for them regardless of repentance, Some put their faith on both, Mormons put their faith in what they do, and Jehovah Witnesses put their faith in saying a name. These are all avenues of faith, and it is not a point of right or wrong or which faith is correct. It is that faith must grow to produce the fruits. But who humbly accepts the truth, and does not reject the spirit? Otherwise we trip on the stone of truth and fall into depression and anger, then after tear apart what God has put together. Clearly I say to you that the Kingdom of Heaven stares you in the face! And hard it is to enter without humility and faith that you are forgiven, and also faith that God will fight for you against the lie. For in days of old Mom and Dad argued, and the children cried out for it to end. And the only thing that can save us, is the Jesus, his teachings, his way, and our change within. For if you gain no understanding of the spirit while you are alive, how will you be able to use the spirit to reconstitute your body? Not the answer you're looking for? 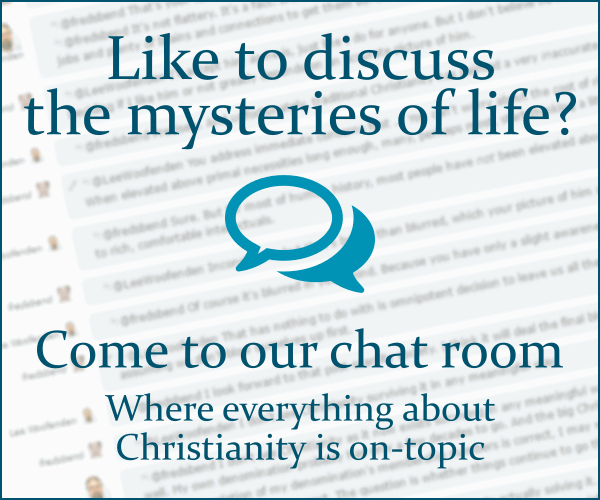 Browse other questions tagged soteriology old-testament or ask your own question. Did God forgive sins based on Jesus' future sacrifice? Did everyone go to hell before Jesus died for our sins? Were there any ancient prophets B.C. considered of the same God? Did John 14:6 apply before the birth of Christ? What happens to people who have never heard about Jesus? Are all who are saved, saved equally? Were there provisions for salvation for non-Hebrews in the OT? How to be saved after adultery? In Romans 7 is Paul talking about before or after he was saved? Were any prophets sent to the Canaanites before Jewish immigration?